FSC worked with HOYA Europe and US to create awareness and provide education to children and their parents. The children’s lenses, made with a shatter-resistant material, allow kids to see more of their world than ever before and give kids the freedom to be themselves. FSC identified and developed a unique, fun and dynamic design that supported our current needs and gave the platform and campaign materials the excitement and ingenuity required to launch a new product. 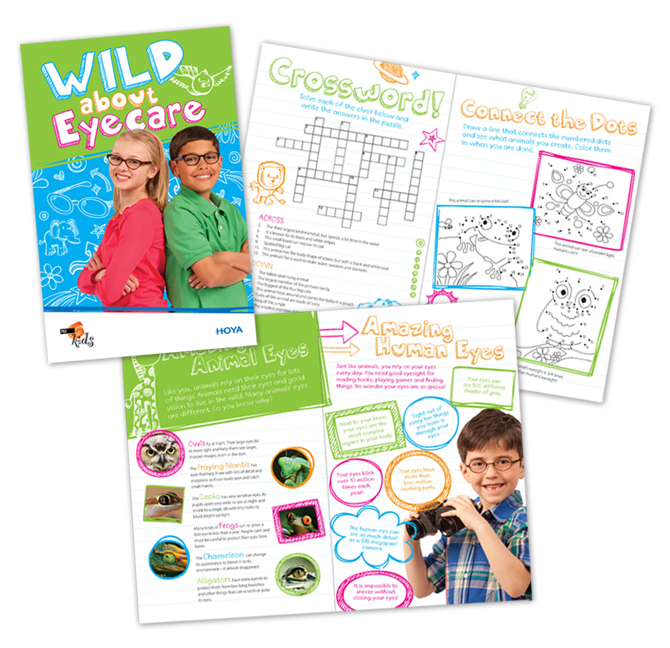 FSC developed a wild animal-themed Activities Book that children will receive upon an initial visit to see their eye doctor. 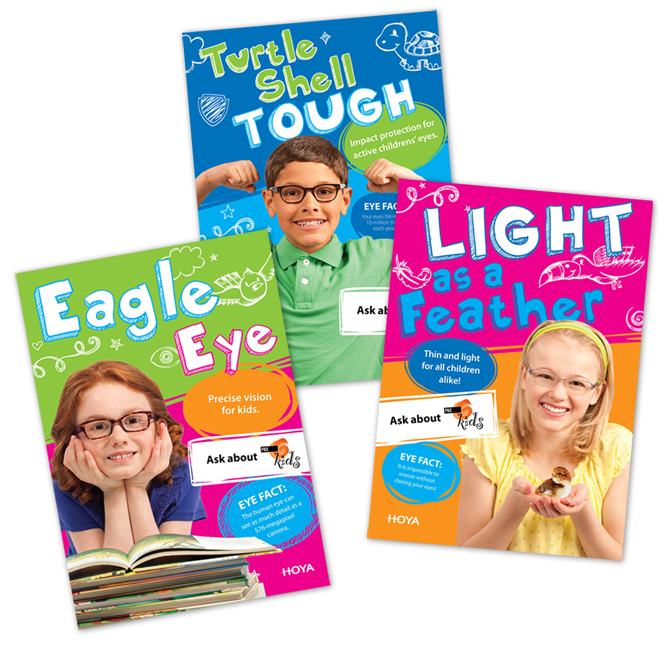 The 16-page activity book, full of entertaining and engaging games, drawings and stickers, is designed to educate children not only about eye health, but also how important it is to take care of and protect their eyes, as well as their eyewear. 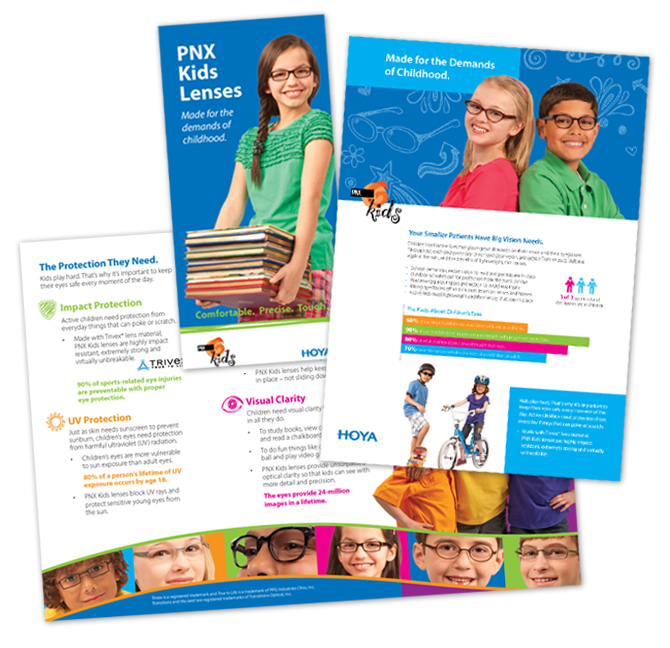 FSC also produced in-store posters and point-of sale materials for the optical practice as well as educational pieces directed towards parents of eyeglass-wearing kids. Upon the dispensing of eyewear, children will also receive an animal-themed lens case and an authenticity card to assure the parents that their child received lenses made with the shatter-resistant material. The program launched in Europe at SILMO in Paris in September 2013 and at Vision Expo West in October 2013 in Las Vegas for the US market.